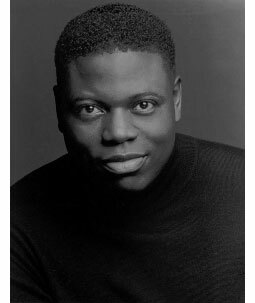 Loyola University New Orleans alumnus Alfred Walker ’96 will perform a solo voice recital on Saturday, Sept. 24, at 7:30 p.m. in Roussel Performance Hall, located in the Communications/Music Complex, on the corner of St. Charles Avenue and Calhoun Street. The concert will feature works by Franz Schubert, Johannes Brahms, Henri Duparc, Aaron Copland, Giuseppe Verdi and Richard Wagner. According to Walker, the Schubert lieder are personal favorites, but the Wagner arias are significant because they were instrumental in his growth as an artist on stage. Tickets are $15 for general admission and free for Loyola faculty, staff and students, seniors and children, and are available online at www.montage.loyno.edu or by calling 504-865-2074. Tickets will also be available at the door 30 minutes prior to the performance. Proceeds from this concert will benefit the Frohnmayer Legacy Fund. Walker, a New Orleans native who recently performed at Loyola for the “Frohnmayer Reunion and Tribute,” is excited to return home. Walker will also present a vocal masterclass on Friday, Sept. 23, at 4:30 p.m. Admission to the masterclass is free and open to the public.